yBaX-Play.com is an independent games blog which extends to coverage on television, movies, technology and more. The owner of this website is Joseph Reaidi (KingKoopaTroopa). Unfortunately as a student I can only partition a small amount of my time to update this blog. This means that the website does not cover all up-to-date news, but instead will only be updated occasionally. yBaX-Play.com has however had many original articles and stories make it to this website before other major news institutions or gaming blogs began to report on it. The website is essentially my writing tool to enhance my writing as a potential future journalist. 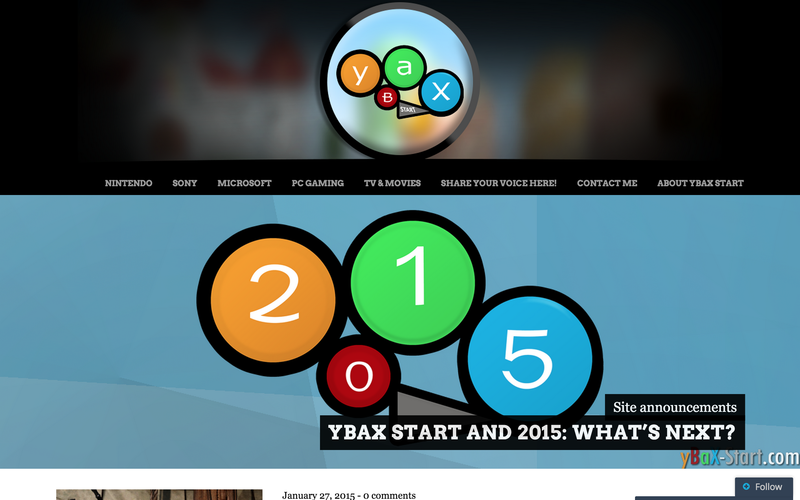 Before being retitled as yBaX Play, the website began as yBaX-Start during May 18 2014, with a default WordPress.com domain (ybaxstart.wordpress.com). Notably, the majority of early articles are mainly poorly written. These will not be edited or deleted, only to illustrate how far I’ve come with this website. Since May 2014, there’s been a significant rise of daily visitors, followers, however since the decrease of articles there’s evidently been less regular readers. It is also worth noting that many old articles written during the yBaX-Start era may contain broken hyperlinks due to the domain name change. So where does the name yBaX-Play come from? Originally, it was just to be a placeholder name. After which, I’ve pushed to shorten the name to just “yBaX.com” yet I was unable to retrieve the domain, so the website officially became known as “yBaX-Start.com”. 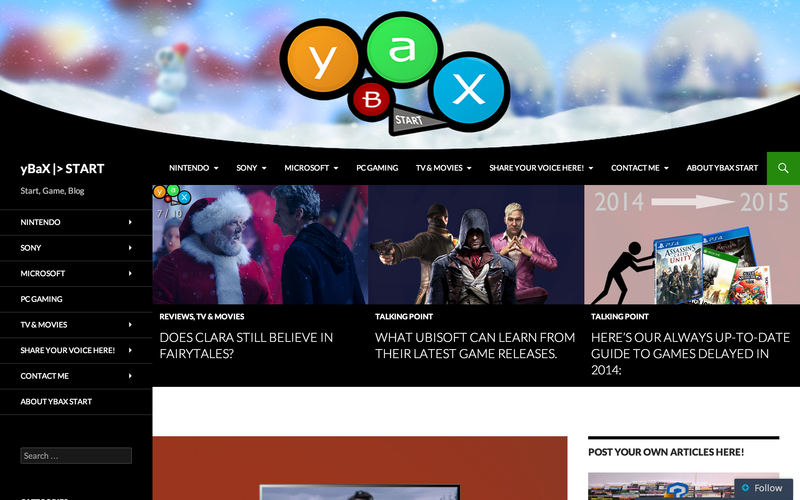 After a long absence, the website is know rebranded as “yBaX-Play.com”. The name represents a typical games controller layout – most notably the Microsoft’s Xbox controllers or some Nintendo controllers – which illustrates the original purpose of this being a gaming blog. I’ve seen your “Write your own content” section… What does that mean? I encourage for people to share their skills and write their thoughts for other people to see. As with the domain update to “yBaX-Start.com”, we’ve introduced this new community-friendly feature for people to share their own articles for us to upload it online. This website isn’t only for me to develop my skills for the future, but also for anyone else who requires it. For more information as to how to submit your own piece of work, click here. I’ve been on your website before, it looked really different. There’s four significant website designs: the placeholder design, the 2014 edition, the 2015 style and the 2015 style. These redesigns are in hope to improve the usability of the website. The 2014 placeholder header – thank goodness it’s been updated. During 2014, yBaX-Start.com had this design. The headers would always change design depending on seasons, events and such. The new 2016 theme, with bigger featured images, a cleaner logo and more organised text format. So, who writes these blogs and articles then? Most articles found will be written by KingKoopaTroopa (Joseph Reaidi), or it can be featured guest blogs from the “Write your own content” section. To find out more about the authors here click on our Authors page. Are there any ways of getting in contact? To continue on your viewing experience from yBaX Start, there’s multiple social networks you can follow us on, or get in contact with us. Check out the contact me page to find out how.